Kitchen genius Kenwood engages the Chaos team to differentiate customers' cooking experiences. 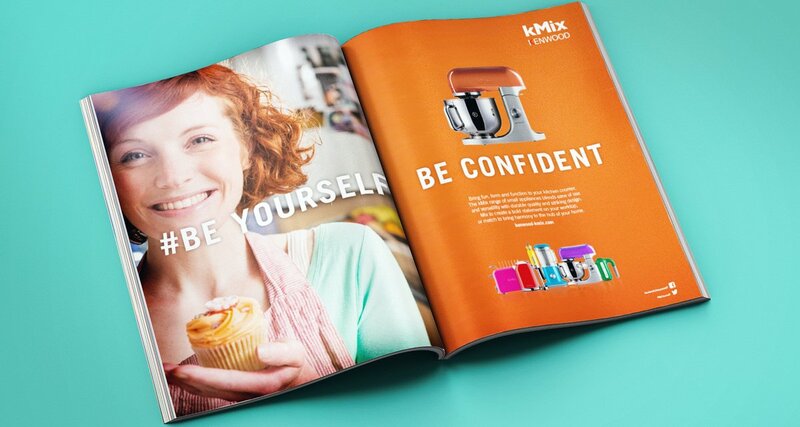 Kenwood kMix could not afford to position itself too firmly as a 'serious foodie' brand as this would have alienated those who were simply looking for a co-ordinating kettle, toaster or coffee maker. The 'Be Yourself' proposition statement needed to balance intrinsically feminine values with unisex or masculine imagery. 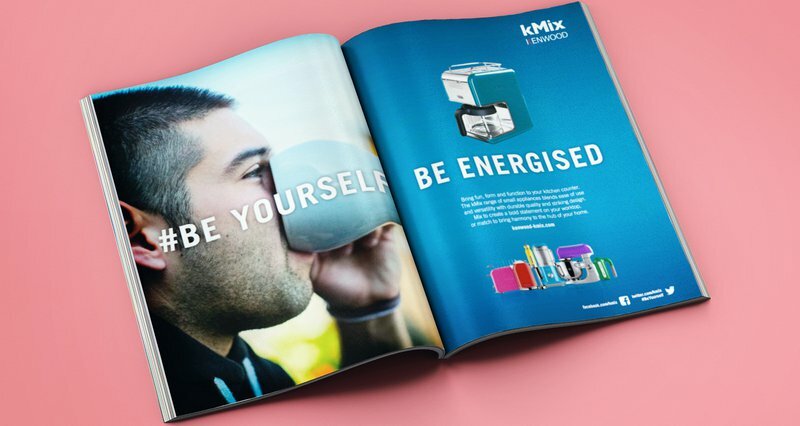 'Be Yourself' needed to be used with care to reflect individuality and avoid any connotations of lacking assertiveness, self-identity or authenticity. We delivered a series of posters and print ads, landing page design, social ads and social branding, Point of Sale (POS) assets, and digital display ads as part of the campaign. Chaos created the sub-brand identity for My Chef. The proposition ‘My Chef, My Way’ is aimed at home-cooking; focusing on cooking food your way. It’s about being proud of what you made at home. 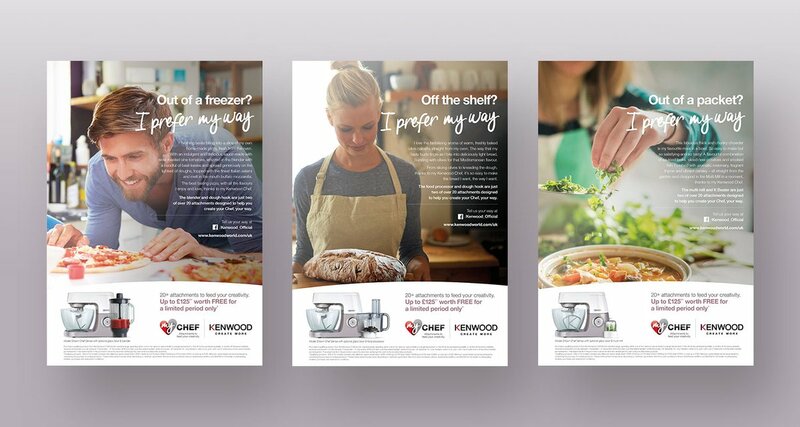 The campaign also focuses on the versatility of products where there are different attachments to swap and change - enabling you to create a range of foods such as ice cream, pasta, etc. Assets delivered as part of this campaign were: My Chef sub-brand identity, photoshoot, production of animation video, series of posters and print ads, social ads and social branding, paid social campaign, digital display ads and a landing page.